Take our quiz to find out how much you really know about vaccines! 3. What is the SAFEST way to lower your chances of getting HPV (Human Papillomavirus)? 4. 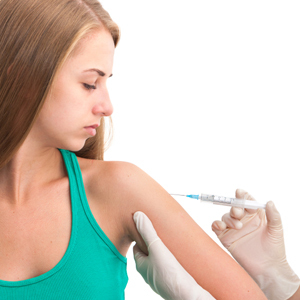 What sentence BEST describes the Human Papillomavirus (HPV) vaccine? 5. What statement BEST describes Pertussis? Pertussis is a virus that causes pneumonia. Pertussis is a virus that is sexually transmitted. Pertussis, also called "whooping cough," is a bacterial infection. Pertussis is no longer a threat to humans. 7. What option BEST describes Meningococcal disease? Meningococcal disease is usually spread by being close to an infected person who is coughing or sneezing. Meningococcal disease causes symptoms such as high fever, headache, stiff neck, and vomiting. Meningococcal disease is a serious illness that can cause permanent brain damage. 8. What is the BEST way to lower your risk of getting Meningococcal Disease?